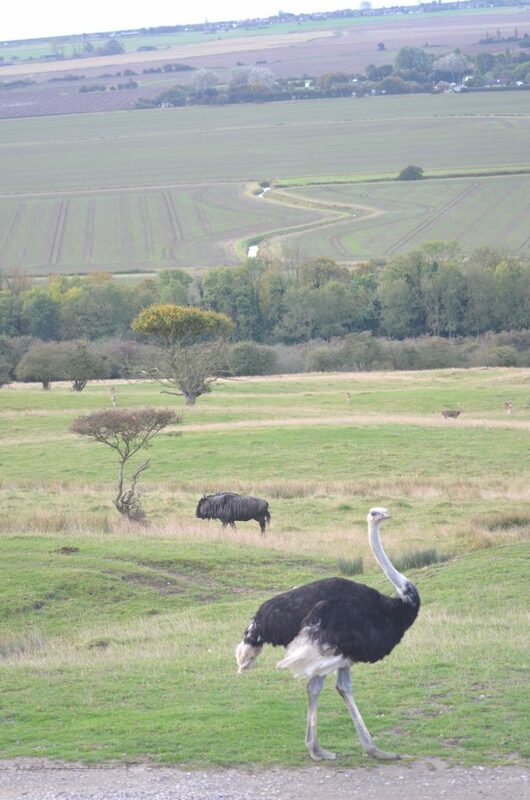 I’ve been looking forward to writing about my short break safari at Kent’s Port Lympne Reserve ever since I got home. 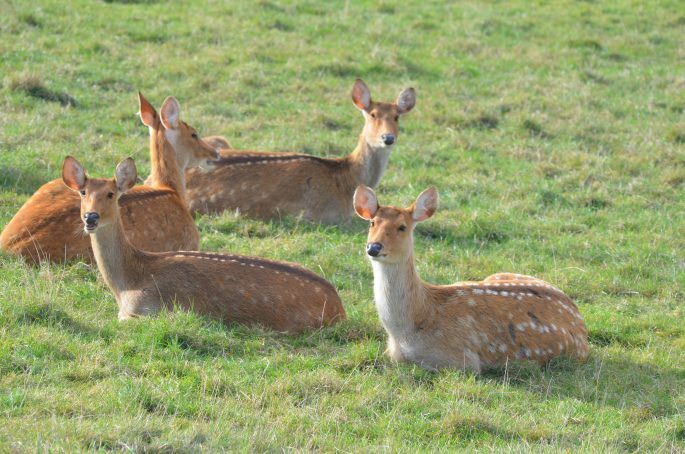 But every time I sit down to tell you about the experience, I end up getting distracted by all my photos of the cute baby rhino, ickle giraffe and all the other animals they have roaming around the Romney Marsh. 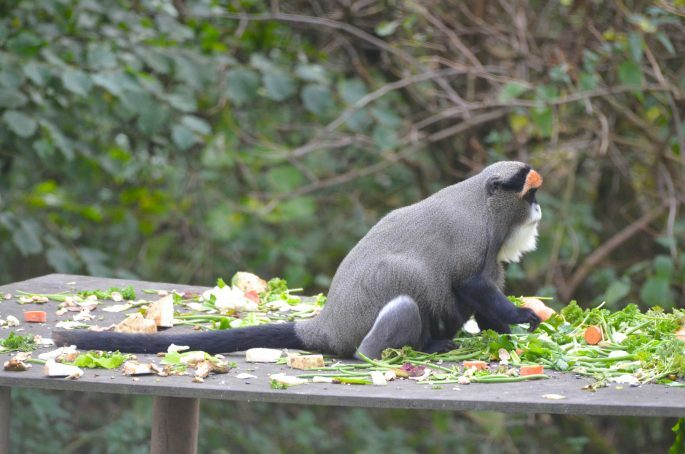 I’ve used all my willpower today to stop oohing and ahhing over the wildlife photos for 5 minutes to explain why an overnight trip sleeping under the stars at the South East’s wild animal park is an amazing excursion for anyone. 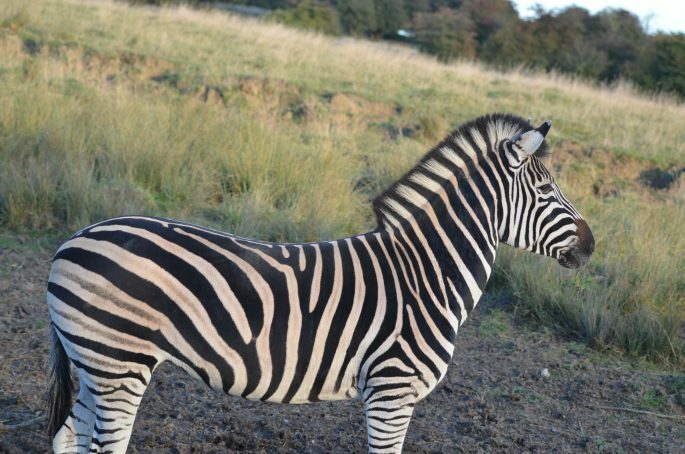 I want to share my impressions of Port Lympe Reserve, Kent’s wild animal safari park, and why I think it’s a brilliant little getaway (whether you have kids or not) – but if you just want to see pictures of zebra, gazelle, blue bison or gnu then you’ve come to the right place. 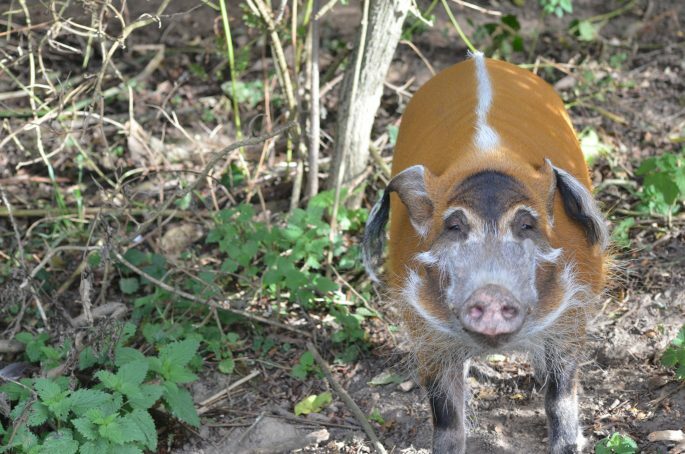 Let’s face it, nothing I write will be as persuasive as pics of cool creatures like Patrick the red river hog in all his glory. 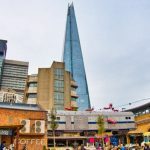 I have a massive soft spot for this part of Kent so I might be biased, but if you’ve never been to this area of the UK before I think you are in for a real treat. 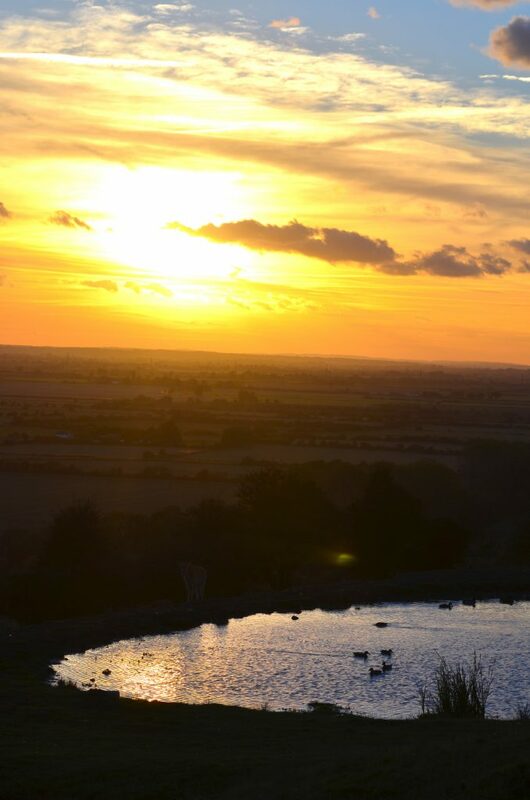 Kent’s coastal marshlands are an incredibly special place – the classically English countryside has views of the English Channel and even France in the distance (sometimes in this part of Blighty you’ll find yourself on a French phone network, it is that close to the Continent). 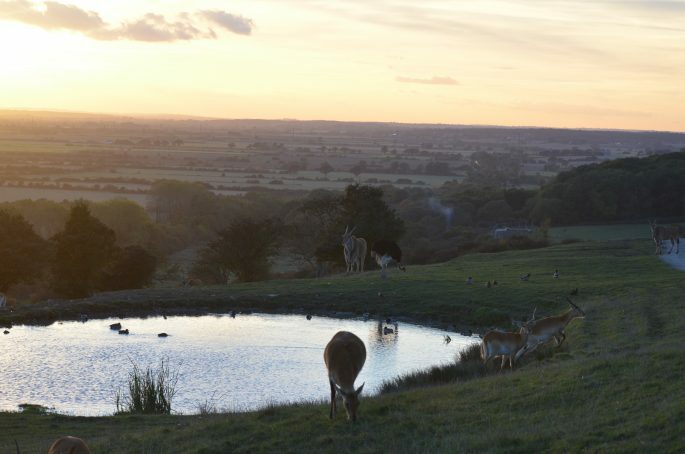 So it actually makes sense to have one of the UK most established wildlife parks (Port Lympne turns 40 this year) in this stunning and very rural part of England that feels somehow cut off from civilisation. 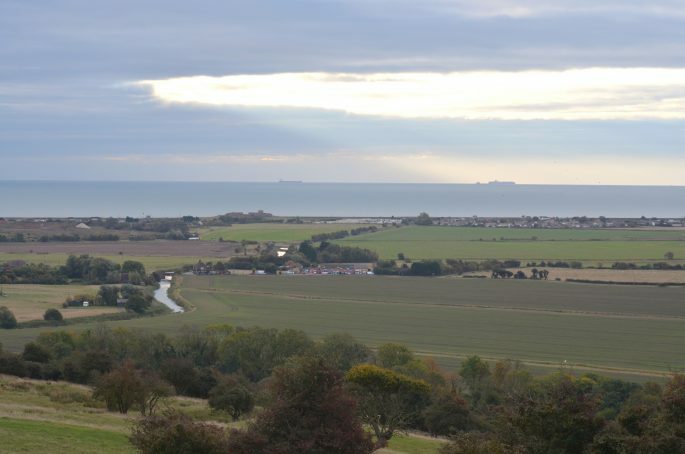 Yet with the new high speed rail link from London King’s Cross to Ashford, it’s actually even quicker to get to Port Lympne by train than by car – my journey from London took 38 minutes, most of which spent looking out of the window at the lovely views – which turned out to be nothing compared to the views I got on arrival into the reserve. 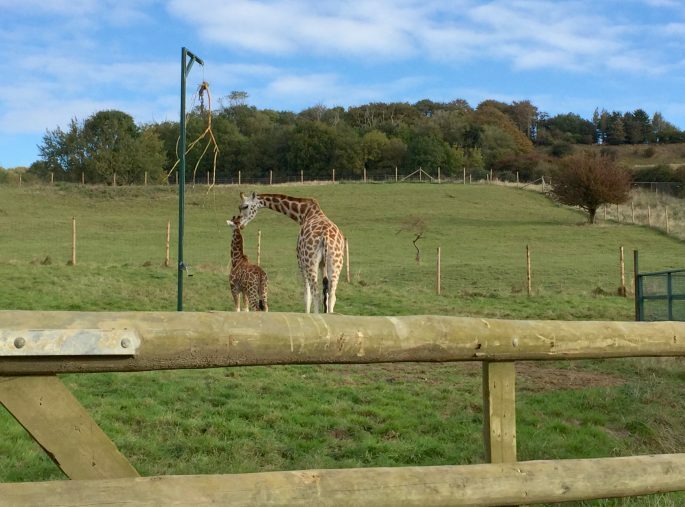 Port Lympne – not your average zoo is it? First things first, as a massive animal lover I am very careful where I go and what I recommend when it comes to animal-related tourism. I don’t claim to be an expert on animal welfare but like most people I want to be as responsible as I can and only see animals in as natural an environment as possible, where their welfare is the top priority. Fot that reason I don’t usually like zoos: I see no reason why animals should be cooped up in cages just so me and other people like me can gawp at them. 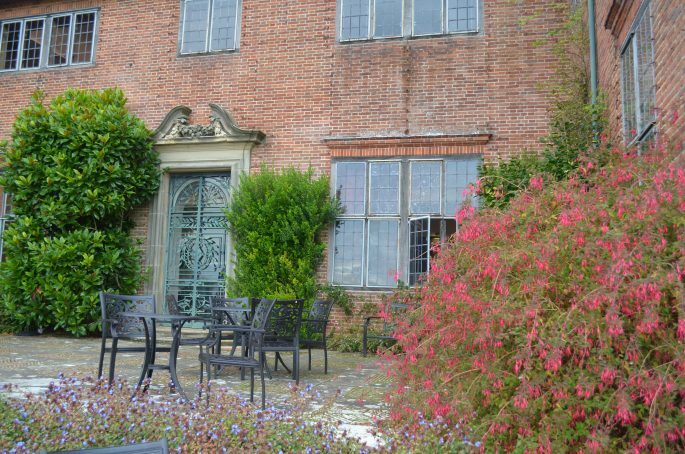 Port Lympne is a sister to Howletts Animal Park, both part of the Aspinall Foundation. 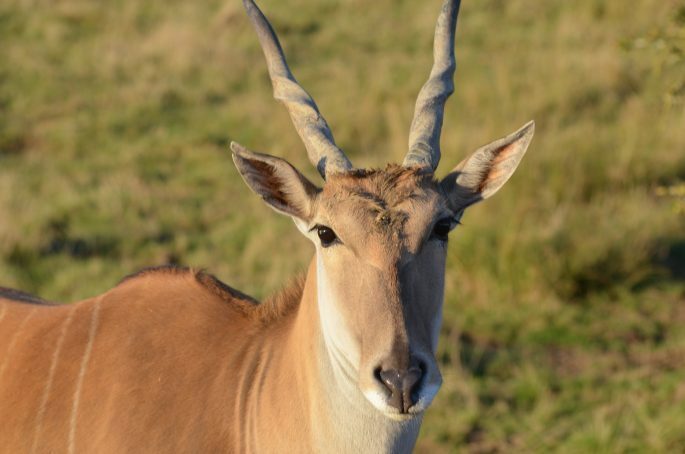 You can tell that everyone here cares deeply about the animals, from the keepers who you see taking care of them to the safari guides whose knowledge about the animal kingdom is really inspirational. The focus here at Port Lypmne Reserve is the conservation and breeding of endangered animals often with the goal of reintroducing them back out into the wild – which is where animals like these really should be. That philosophy is what makes it so worthwhile to learn about and support the work they do. 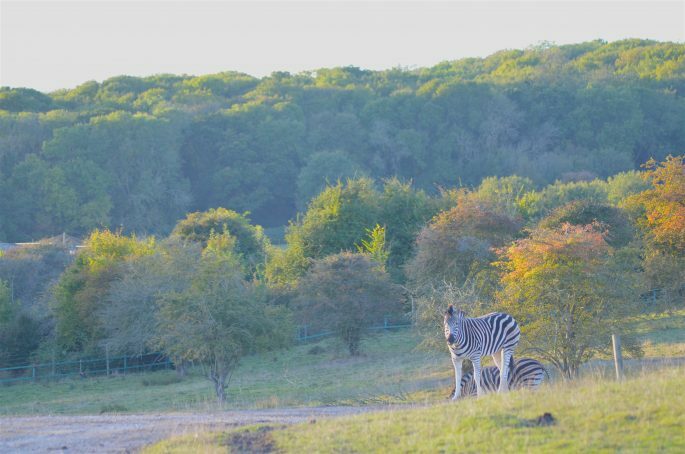 The animals who do live here are often left to choose where to roam, meaning that you are on a real safari as you don’t quite know where the animals will be at any given time. 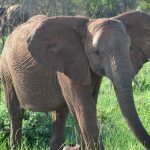 They are given natural barriers where possible rather than big wire fences, and are kept active and entertained with plenty of challenges to allow them to exercise their brain power for rewards, which is known as an enrichment program. So onto the actual animal experience. 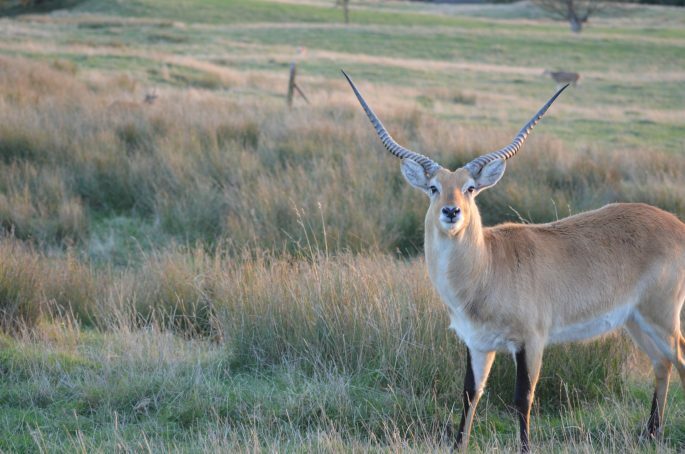 Like any real African safari, you are asked to stay within the safari vehicle while touring around the park, which is best done at dusk and dawn when the animals are most active. 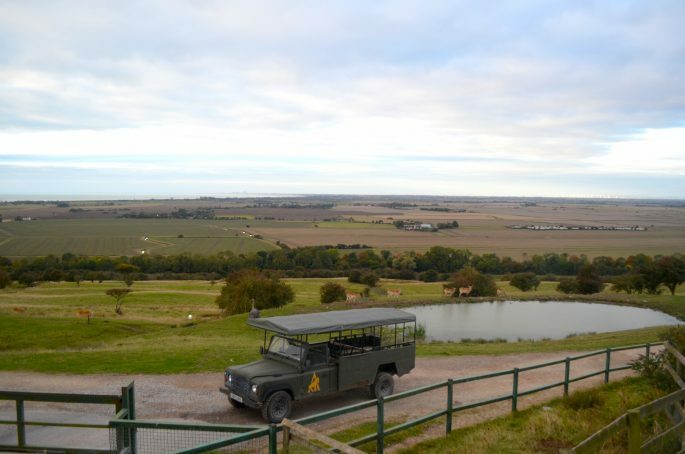 The safari trucks at Port Lympne – a bumpy ride, but worth it! 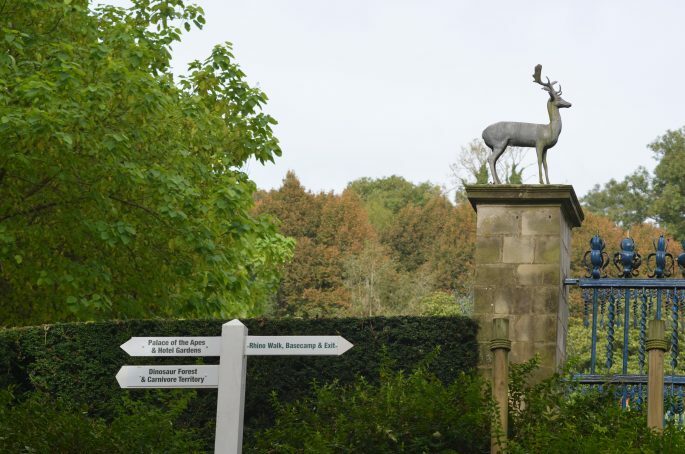 From the open-sided and specially modified truck you can see a whole host of animals – they have 46 species across 600 acres here, making it 3 times the size of London zoo. 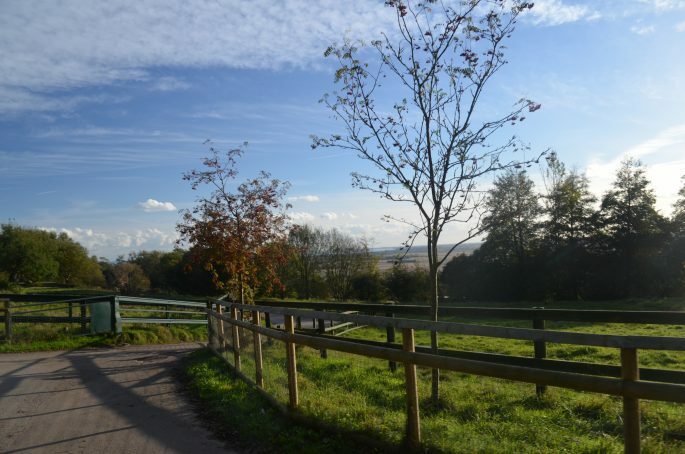 You can of course walk around Port Lympne on your own as much as you like once inside, and as delightful as this is, I don’t think you could learn nearly as much or be as engaged with your surroundings as you can while being guided by one of their experienced staff. Without their input I never would have learned little facts that bring home how sophisticated animals here are – the black-capped capuchin monkeys for example, have technically already entered the Stone Age as they know how to dig with spades, understand the value of coins and concepts such as the absorption of liquid, which the keepers know from working with the animals on little projects to allow them to do things like swap coins for more food – which the cheeky little things got the gist of straight away. But probably my favourite animals, which I could have spent hours watching if I wasn’t being whisked off to a luxury tented camp for the night, were the Rothschild giraffe. 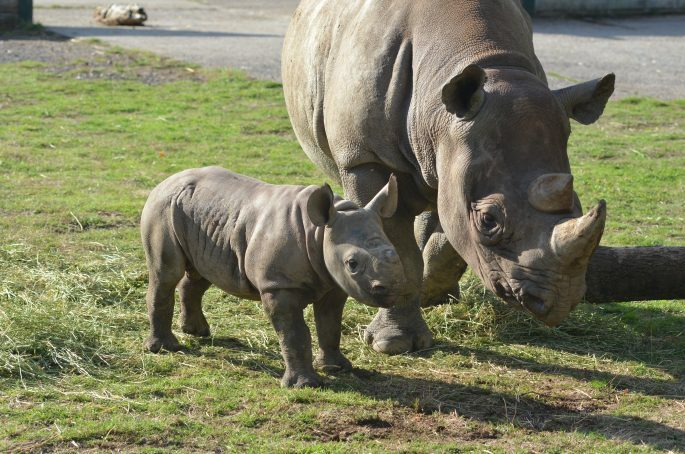 These are a truly endangered species with only 1500 in the world, but here at Port Lympne as well as the baby they already have there is another one on the way which everyone is incredibly excited about. 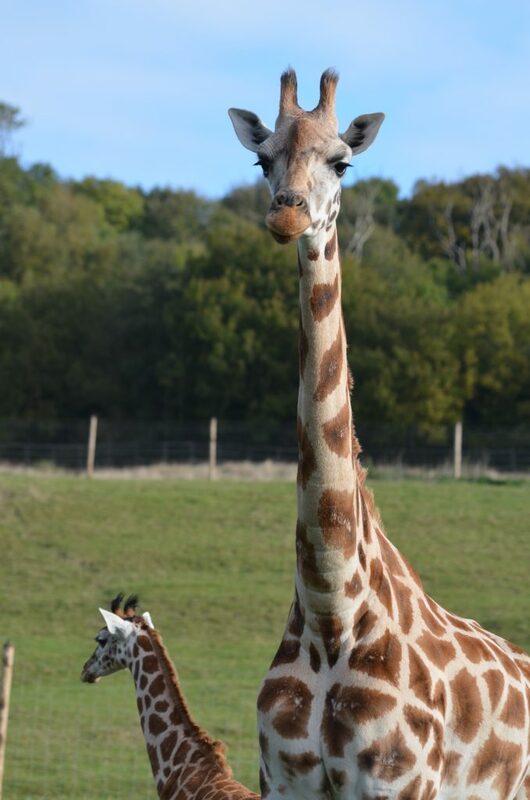 The daddy giraffe, Valentino, was born on Valentine’s Day and he has really lived up to his name as a lothario. If you fancy yourself as a bit of a lothario – or lotharia, if indeed there is a female equivalent? – then Livingstone Lodge is a sweet place to bring your loved one to impress them. Once my afternoon safari had ended my vehicle continued on to the watering hole, where I found my bags waiting for me inside my rather romantic tented accommodation. 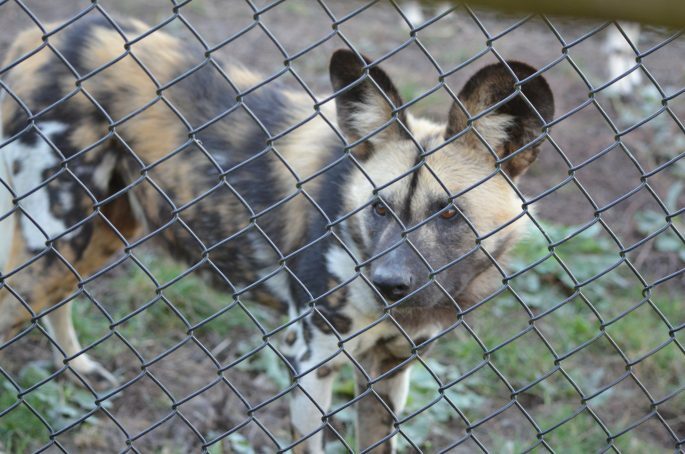 Each is named after a different animal and I was in Wild Dog – appropriate as I’ve been in awe of these animals ever since seeing them on safari in South Africa. 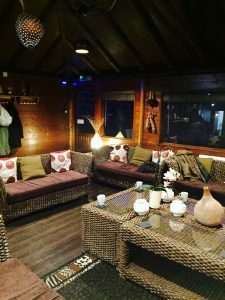 I was pleasantly surprised to find a proper bed, a shower and a real toilet (this glamping has the emphasis more on the ‘glam’ than the ‘camping’) but still I didn’t stay long inside my tent. 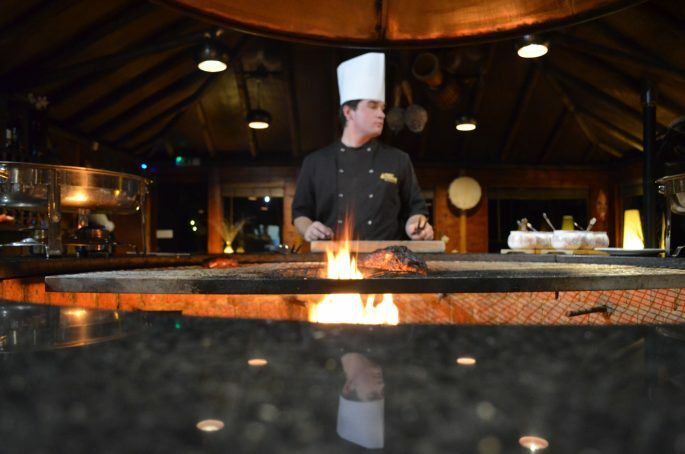 That’s because this is where the safari experience really comes into its own – there’s dinner waiting. 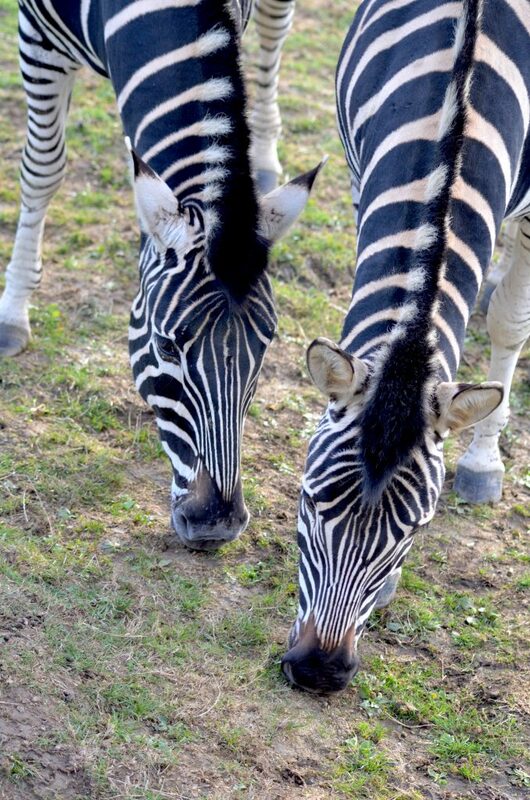 Livingstone Lodge has captured the African safari experience perfectly. 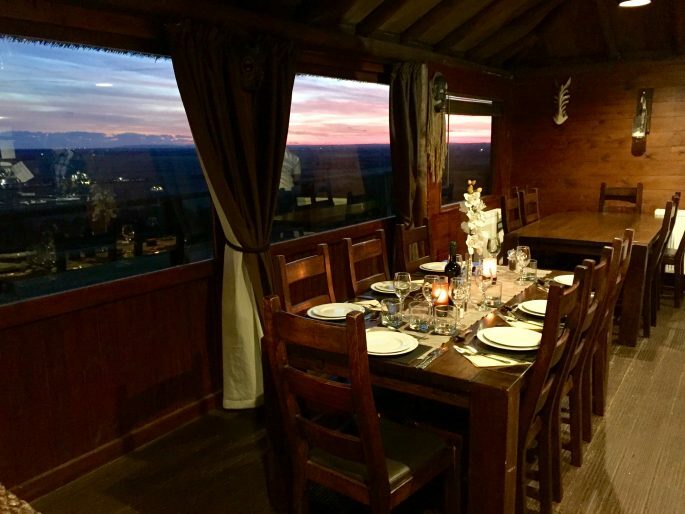 Just as it should be you’re invited to gather with your fellow safari-goers in a communal lodge which sits perched on high ground over looking the whole park, and dine on a home-cooked feast while enjoying a beautiful sunset and swapping stories from the day. 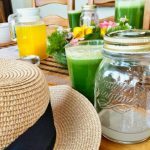 Then next morning at the crack of dawn, you’re back in the lodge for a full English breakfast to set you up for your morning safari as you head beack towards the park gates, and into the real world again. 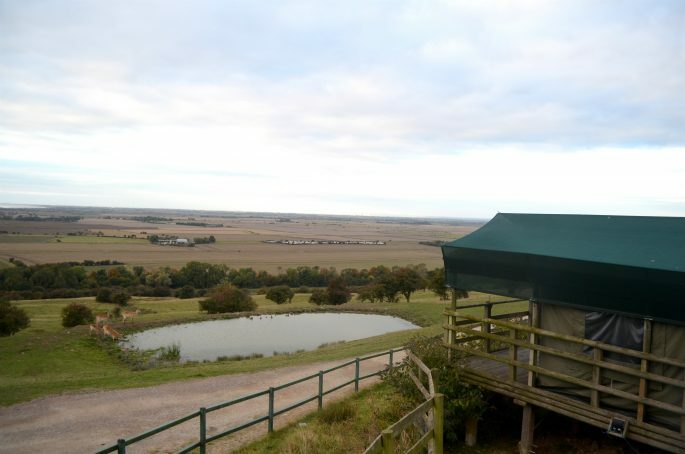 You can of course have a day out at Port Lympne and go home to your own bed – but it is much more fun to camp in the grounds – and Livingstone Lodge, where I stayed is right in front of the watering hole. If you come without little ones and are looking for a romantic getaway, while still enjoying the great outdoors, the semi-permanent heavy duty tents of Livingstone Lodge are probably right for you. 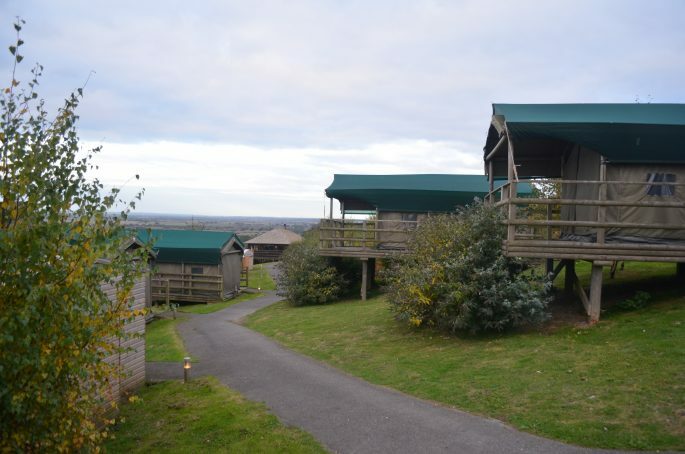 Port Lympne can sleep 300 people if all the beds at Livingstone Lodge, Bear Lodge and the other accommodation are all full – that’s one person for every 2 animals in the park!